In December 2018, San Francisco hosted a small piece of Italy. 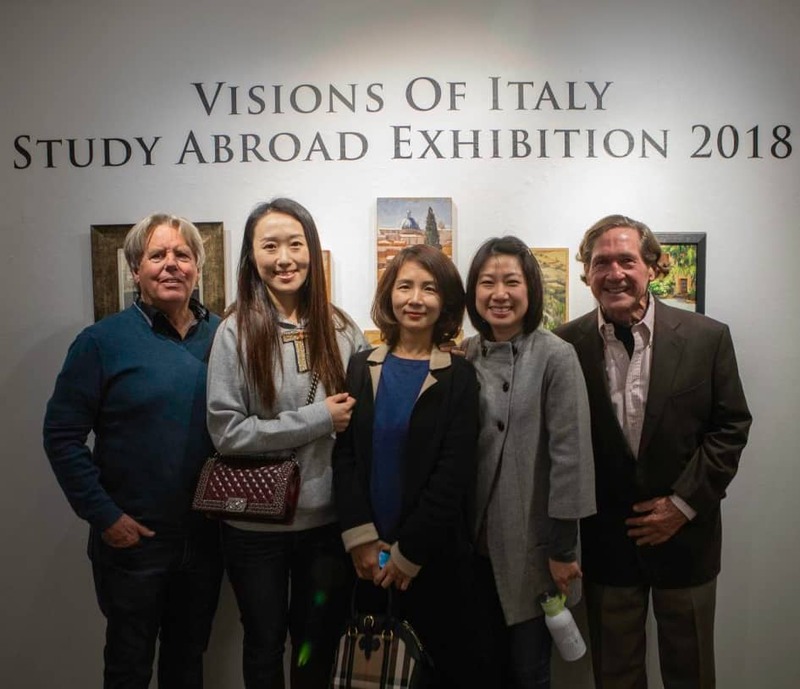 On display at the Academy’s 688 Sutter Gallery was Visions of Italy, an exhibition showcasing paintings, photographs and journals created during the university’s seven-week Study Abroad Summer Program in Florence. Works in the show captured everyday events, or in some instances, grand ones. Sunsets over the Arno River painted on canvas. The bi-annual Palio di Siena, a horse race, documented in digital photographs. 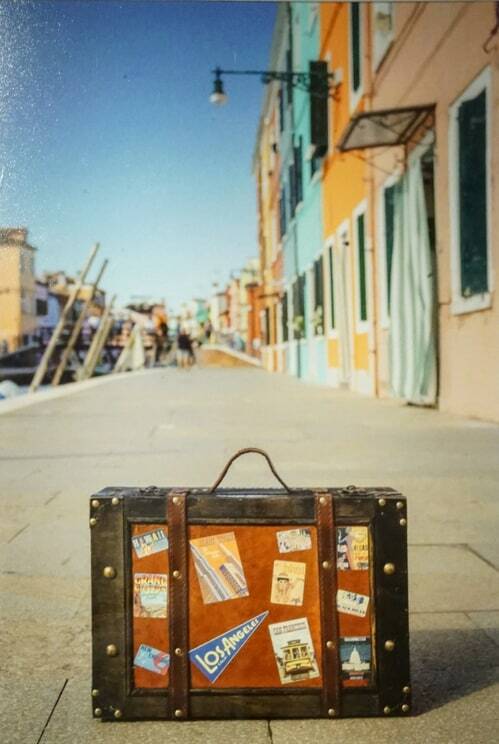 Daniel Peterson’s Traveling Suitcase on the streets of Burano, Italy. Photo by Daniel Peterson. 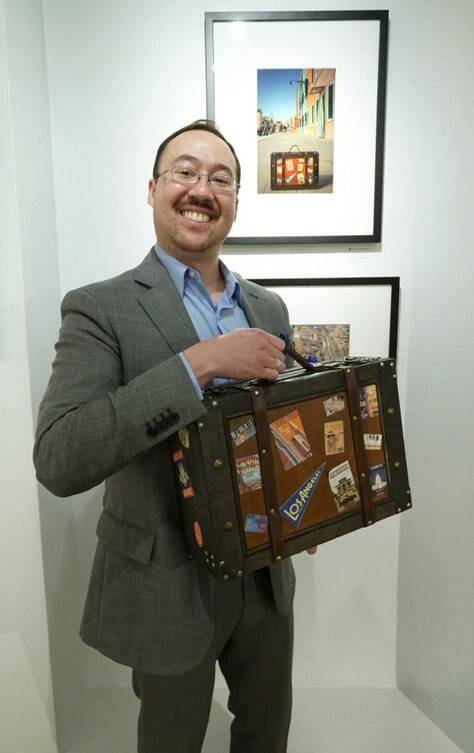 Daniel Peterson, at the exhibition with his Traveling Suitcase. Photo by Bob Toy. At the exhibition, the actual traveling suitcase sat right below its portrait in the gallery. “I’m going to try to make this a lifelong photo project,” says Peterson. Fine Art MFA student Mitch Cihomsky also saw the program in Italy as a chance to take his art beyond the classroom or studio. Prior to the trip, Cihomsky visited Florence several times as a tourist. But as an artist, he says, it was like seeing the city with brand new eyes. Cihomsky had three oil-on-canvas pieces hanging in the exhibition, but he was also eager to see his peers’ work. He calls Study Abroad a “total experience,” where students “paid attention to the schoolwork but they enjoyed what Florence had to offer.” In the classroom and studio time, dinners, museums and field trips, the group bonded the group over the seven-week program. Looking back on the Study Abroad program’s 10-year history, Nelson says 2018’s session was the best recently, both in the quality of student work and in expanding the program to other schools in the university. This is the third year that the Art History and Photography schools were involved in organizing the program, and nearly half of participating students were online or hybrid, including participants from the Schools of Animation & Visual Effects, Fashion and Architecture.